Church Group DJ Rockin' 70s, 80s, 90s, 00s, and Today! 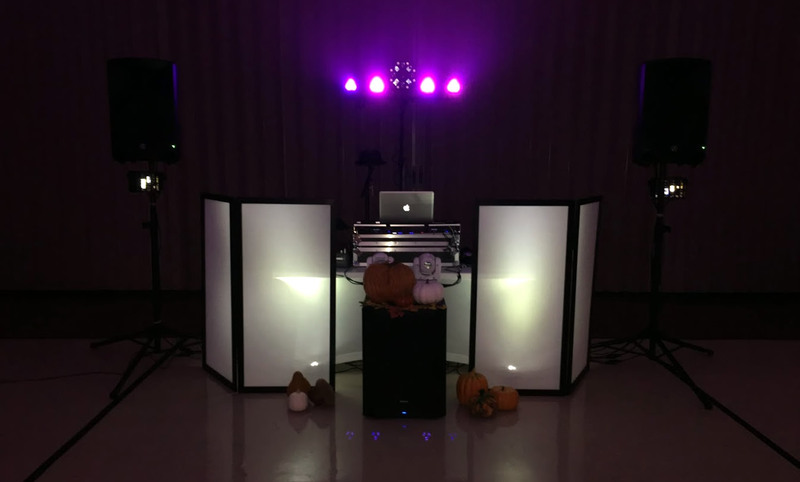 | DJ Nate Professional Wedding and Event DJ on Oahu. Just a quick pic of my setup for an adults only dance at The Church of Jesus Christ of Latter Day Saints in Mililani recently. The lights with the haze were awesome. This was a fun gig with super clean music from all decades. I had a blast digging deep into the throwback bins to mix up songs that were playing on the radio back in the day. They gave me a partial request list beforehand to work with, and I also mixed in some tracks that I selected. The dancefloor was the place to be all night. I love playing clean music. In my opinion, explicit lyrics kill the energy of a party so I always keep it clean anyway. There is SO much amazing music out there, hip hop, EDM, country, old school hip hop, R&B, etc. that is often overlooked. This night there were all ringing through the speakers. . . cheehuu!!! Here’s the setup. . . I was definitely digging the pumpkins they decorated my subwoofer with!